All your favorite features at the tap of a button. SwiftKey, one of the most popular third-party keyboards on iOS, has just gotten even faster and more efficient — thanks to an update which adds a new Toolbar for giving you super-speedy access to the keyboard’s most popular features. For those unfamiliar with it, SwiftKey Keyboard is a third-party iOS keyboard you can use on iPhones, iPad, and iPod touches. The idea is that it’s a smart keyboard which replaces the regular iOS keyboard with one that learns from the way you type. It’s scarily good at what it does, boasting one of the best autocorrect and next word prediction features I’ve seen on any keyboard anywhere. It also includes support for more than 800 emoji, multilingual typing, swipe-based typing and more. 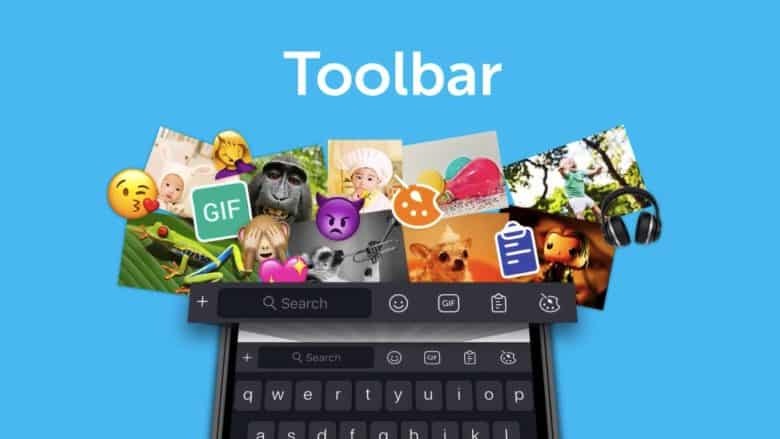 The big new feature of the latest update is its toolbar feature, which lets you access features incredibly rapidly and intuitively. While I would recommend SwiftKey to just about anyone, this latest update would be particularly well-suited to the kind of user who enjoys peppering their messages with liberal use of GIFs and emoji. The GIF feature offers you 1,000 GIFs all within the SwiftKey keyboard itself. Furthermore, these couldn’t be easier to find, since you just tap the “+” on the left of the prediction bar and quickly find the right GIF video clip to make your point. You can download SwiftKey from the App Store right now for free.